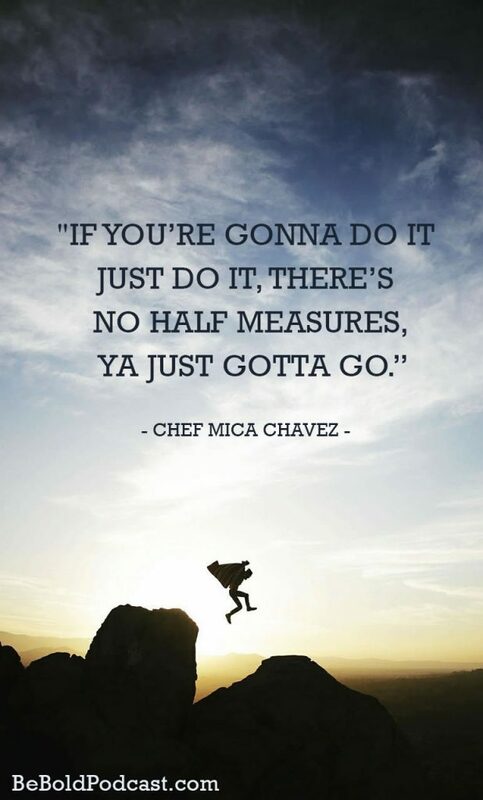 This episode, I speak with Mica Chavez, also known as Michelle, also known as Chef Michelle depending on how and for how long you’ve known her. Many of the women who’ve been on one of my Santa Fe Culinary tours know Chef Michelle from the Santa Fe School of Cooking where she often teaches our tamale making class. Mica has a pretty big personality and if you’ve met her, you know that already. But she’s also got a big smile and a big laugh and an amazing aura. You can’t help but just feel lifted up in her presence. If you ever have a chance to take a cooking class with her, you’ll see what I mean. The experience will stick with you for a long time because of Chef Michelle. And you’ll even hear it in her voice here. As I went through her Facebook page looking for photos I could use for this podcast page, I had a really difficult time finding ones where she wasn’t surrounded by other people. I know it’s true that we put our best face forward on social media, but going through her photos made me realize that Mica is all about others, not about herself. In our conversation, she’s pretty honest when talking about her dark times and also how she finally got herself into recovery for drinking. But we start with her early years working in restaurants (and how those were not healthy experiences for her) but how she made a transition into sobriety after moving from Texas to Santa Fe where the lifestyle was so different (in a good way) than what she had been used to. We talk about how gratitude plays a big part in her life and how she approaches every day with gratitude. We also talk about how she jumped in, not completely qualified, to teach 7th graders. And not only teach them but teach them in Spanish. At 48 ½ she believes there’s so much more ahead of her than is behind her. Wow – there are just so many words of wisdom in this episode that you’ll need to hear for yourself. 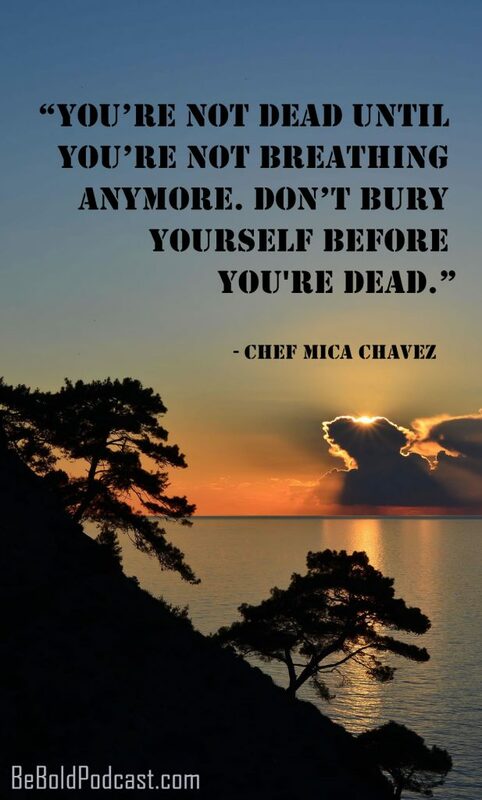 I know you’ll enjoy listening to Mica Chavez. Excellent podcast! I appreciate the discussion and so agree with Chef Michelle on being willing to go out there and “just do it.” I visited Santa Fe from Ohio last week with my 88-year old mother to celebrate Thanksgiving and my 57th birthday. We took Chef Michelle’s tamale class, and though I’m a beginning cook, I had such a great time. It’s so funny, I went through a depression at age 48 over fear of turning 50. Yet, in the past seven years, I’ve earned two masters degrees, written two books about food history(I’m a former food critic) I’ve written and produced two documentary short films and may go on to get a PhD. I bring this up because all of this happened because I pushed forward and as you said, decided I will remain relevant. I wish I would have heard this podcast before I took Michelle’s class. It’s amazing how much we have in common. Thanks for a great podcast, and thanks to Michelle for a great class. I hope one day to return to Santa Fe to do the boot camp.